I'm so excited about a project I'm working on through the Torpedo Factory's Target Gallery: The Nest Project. 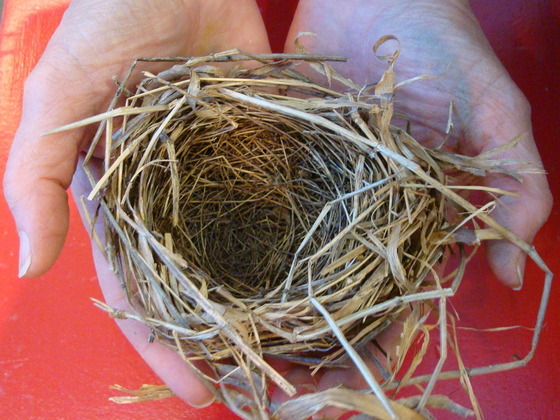 Target Gallery, in partnership with Habitat for Humanity, is sponsoring an outdoor exhibition of artist-made nests created by local arts groups. The event will take place just outside of Washington, DC at the Torpedo Factory Art Center along the waterfront of the Potomac River in Old Town Alexandria from Sunday, April 10 through Sunday, May 15, 2011. To learn more about this awesome project, visit our Kickstarter site, the gallery's project site, and say hi on the Nest Facebook page. We Need Your Help! Funds raised through Kickstarter will help defray artists' costs and time for their installations, lighting to make the installations visible at night, and temporary public signage for a waterfront tour of the installed artist nests.